Pop-up Tower Stands are ideal for presentations, events, exhibitions and showrooms for making a lasting impression on attendees. When you consider most exhibitors there will have some kind of pop-up stand, something like this Pop-Up Tower suddenly becomes a lot more appealing, as it will help your company to stand apart from the competition - quite literally! 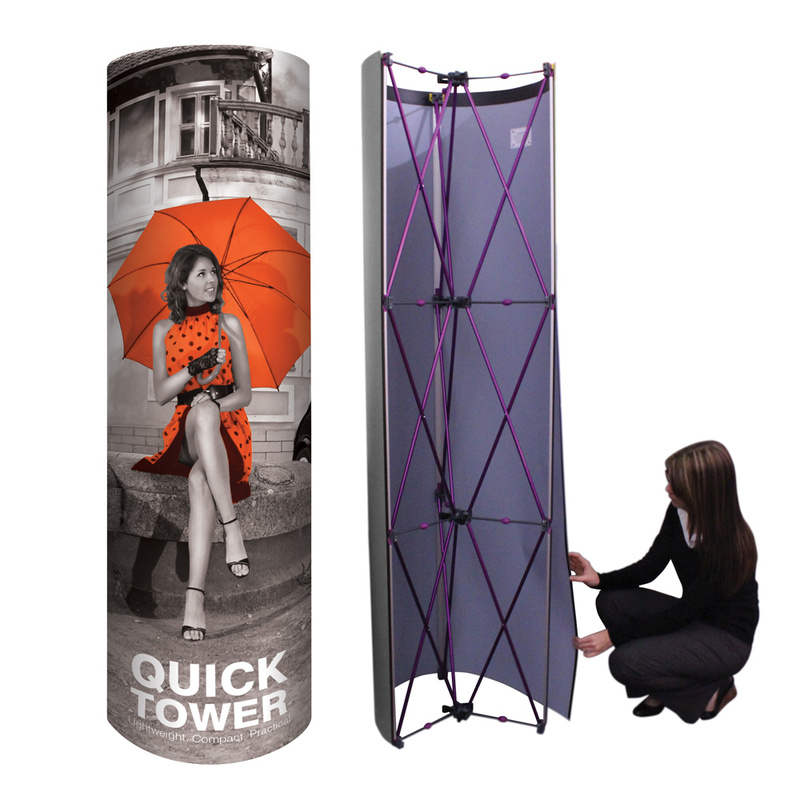 This round pop-up tower from Project Design Print comes in two different sizes and has high quality graphics printed on the outside which are guaranteed, along with the tower itself, for a year after purchase. The overall set-up time on these pop-up towers is about 15 minutes total and can be done by one person (though two is recommended to make the whole process quicker).